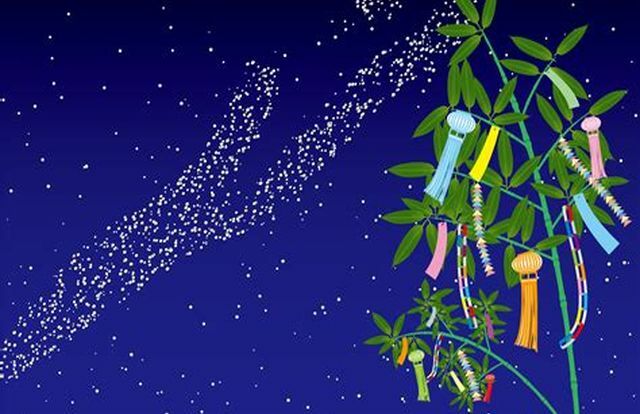 Miki: Are you hanging tanabata decorations at your house again this year? Sho: Yeah. Grandma takes seasonal traditions very seriously. Yota: I'll write my wish on a blue paper strip. Miki: Then I'll write mine on a pink one. What about you, Sho? Sho: I already wrote mine. In fact, I wrote two. Miki: You sure have a lot of time. Yota: My wish is that I get to play in a national soccer competition. Miki: My wish is that I enter a high school of my choice. What about you, Sho? Yota: I know! Your wish is that you find a girlfriend! Q: What does Yoko take very seriously? ◆ My wish is that I have a very good time at school. ◆ Her wish is that her grandmother lives long. （解答) Taro's wish is that he can play basketball better. Miki: My wish is that I enter a high school of my choice.